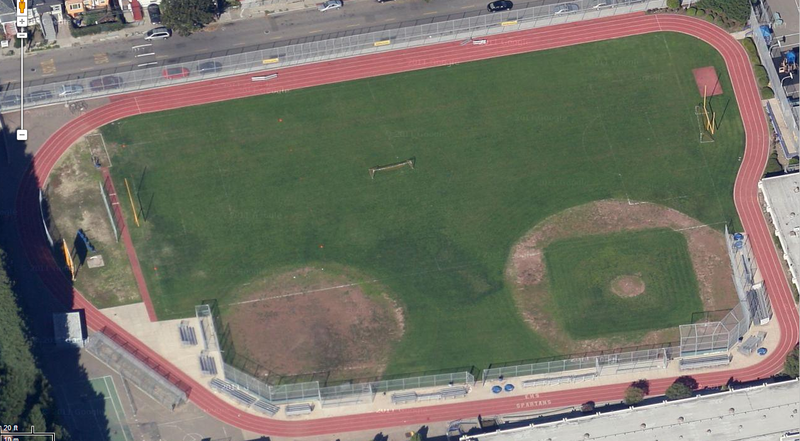 Alright, I have one more weird-shaped, high school track from California to post. This time it’s in Emeryville, a city located between Oakland and Berkeley. You don’t see many tracks with a football field, baseball field, and softball field all located inside of it, but Emery Secondary School has one! While clearly this cannot be used for competition, it does have lanes lines painted, and at least it’s a good surface to train on.